Please enter the name and font you would like on the towel. Thank you! 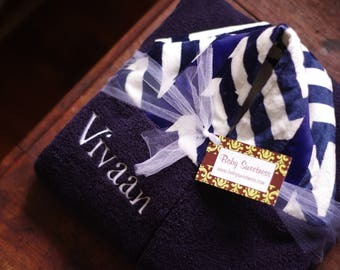 Looking for a unique baby shower gift? 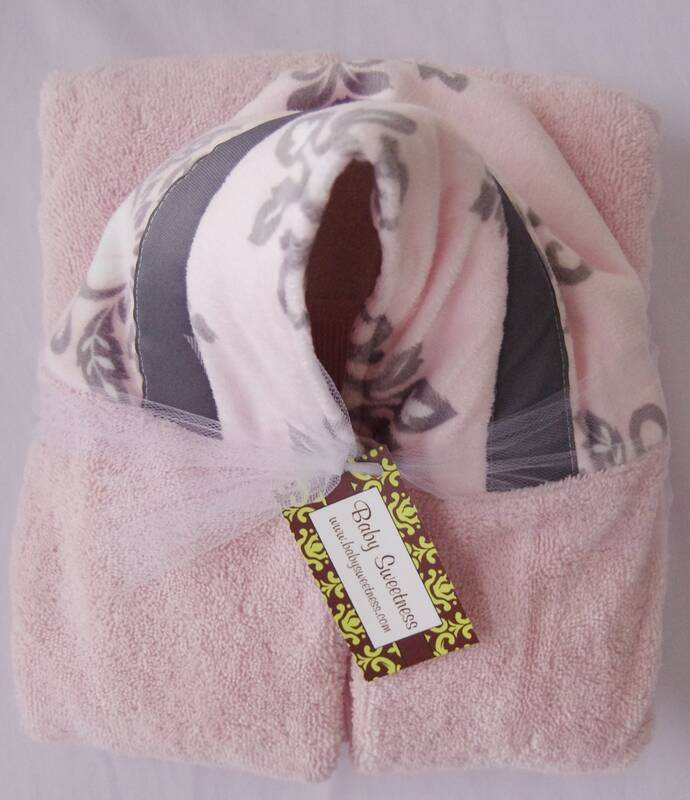 These stylish, soft pink towels with a pink, white and gray floral hood are very sweet! 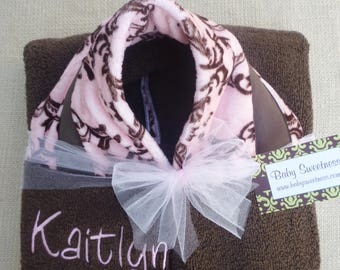 These soft and cozy hooded towels make wonderful gifts for baby showers (including big brother/big sister gifts! ), birthdays, Christmas and more! They are a perfect size for babies all the way up to preschoolers (they often use them as capes!). The actual towel measures ~54" X 28". 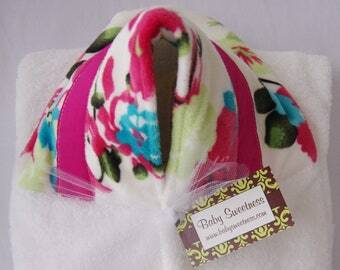 Hoods are made of super-soft minky fabric and are approximately 11.5" (from back to front) X 7" high. 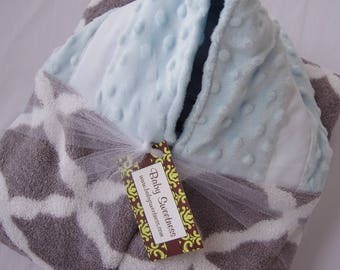 They are attached to the center of the longest part of the towel and are NOT your standard 'triangle in the corner' hooded towels that don't last much past 6 months! Hoods are finished with a professionally serged edge to prevent unraveling. They are perfect for babies and toddlers, boys and girls. Basic personalization is included in the price! 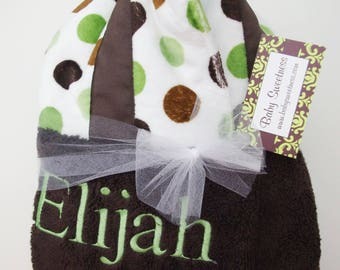 Don’t forget to include the name and font when placing your order!